It�s time to start interacting with your presentations and draw the crowd into a more dynamic board. 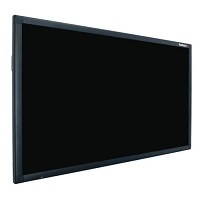 Choose to use an all- touchscreen interactive board or a combination interactive - dry erase board! Copyboard markers interact vividly with the boards or thermal paper and will wow everyone when you can save new writing straight from the board! Copyboard erasers will remove any mistakes with ease. Boards come wireless, wireless-ready, and smartphone-ready! That�s smart and innovative. USB cables and carrying cases are practical accessories that allow for smooth operation.